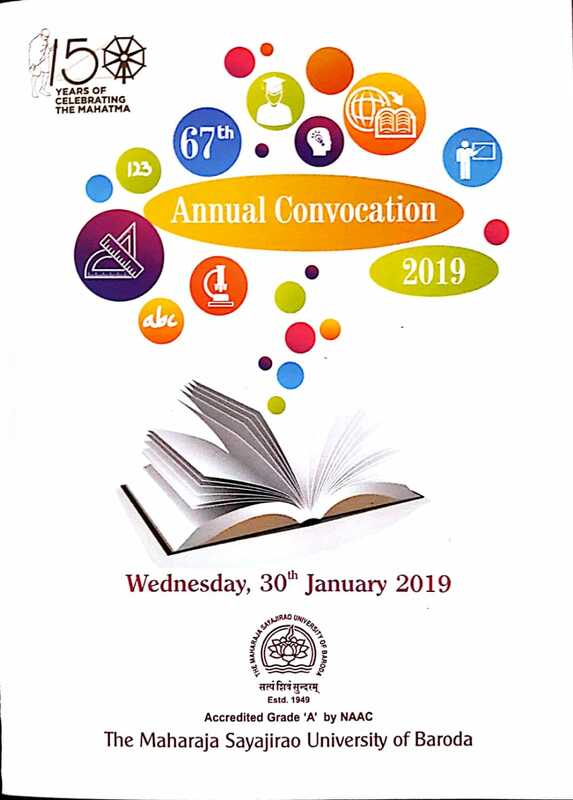 Union Minister of Commerce & Industry and Civil Aviation Suresh Prabhu will be the chief guest in the 67th MSU annual convocation going to held in the university on Wednesday evening. Total 269 gold medals will be given to the students passed their exams with flying colours. This time the convocation will be held in the evening unlike the previous occasions. This year 269 gold medals will be conferred to the students with girls outnumbered the boys. Talking about the meritious students 28 from Arts, 3 from Baroda Sanskrit Mahavidyalaya, 42 from Science, 13 from Education and Psychology, 19 from Commerce, 32 from Medicine, 54 from Technology and Engineering, 17 from Law, 9 from Arts, 12 from Family and Community Sciences, 9 from Social Work, 15 from Performing Arts, 9 from Managment Studies, 2 from Journalism and Communication and 5 from Pharmacy will be conferred gold medals in the convocation. This year once again girls rule the chart and outshine the boys in getting medals. Out of 269 gold medalists the girl students get 174 medals in total of all 15 faculties in the university. Faculty of Education and Psychology is exceptional this year as all the 13 students received medals this year in the convocation. Most interesting part is that all are girl students.